Do the most important thing(s). Make time to do things, blocking four-hour AM calendar "meetings" if need be. 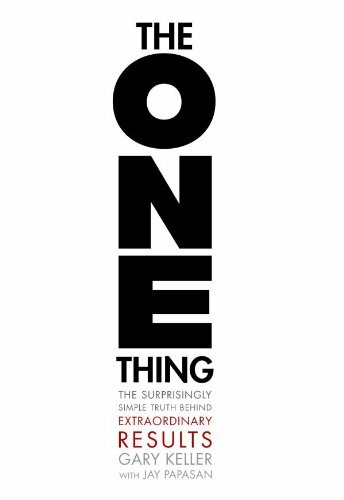 There's some other stuff in there about thinking big, identifying the proximal task, staying healthy, trying to not be a workaholic, etc. The book repeats pop science hits like the marshmallow experiment unquestioningly and without more recent updates. There are ample cute turns of phrase that seem designed to play well in motivational speaking. It's not a great book, but it's quick to read, and it does sort of pump you up. Just completing anything. There are so many distractions and ways to waste time, it's possible to "work" a lot and not actually get things done. It's helpful to identify a thing to do and then focus on completing it. The book mentions the inefficiency of multitasking, which rings true to me. Doing the right thing. There are many paths to not accomplishing anything. You can work on a problem for a long time, even get a lot of things done, without actually making real progress. You might end up with everything to show for your work except what you actually needed.